About That Overpopulation Problem. Research suggests we may actually face a declining world population in the coming years. Pakistan's Supreme Court has ordered the arrest of the prime minister in connection with a corruption case linked to power projects, television channels reported, plunging the country into fresh political turmoil. A leading French judge who specialises in anti-terror investigations says France has no choice but to take the fight to Islamists in Mali– or risk allowing the region to become a training ground for terrorists wanting to attack France itself. Denmark, Canada, Britain, and the African Union have also committed troops to aid in the Liberation effort. While the grim effects of the 2008 financial crisis still resonate across the globe, the recession wasn't all bad: it triggered fundamental economic restructuring, and the result is a U.S. economy poised to emerge stronger than it was before. The French are responding to Europe's stagnant economy by sharing rather than consuming. People have seen that, statistically, most people with a power drill use it for 12 seconds each year, so now they are wondering, why bother buying one? Scientists are conducting intriguing and counterintuitive experiments at several sites in Germany: Bringing back long-lost herbivores, such as water buffalo, to encourage the spread of native plants that have fared poorly in Europe’s human-dominated landscape. 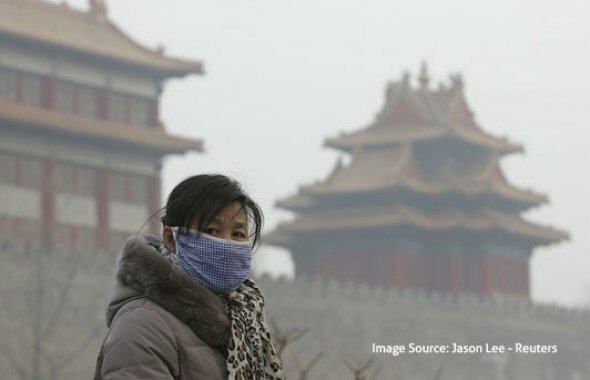 In China's capital, they're calling it the "airpocalypse," with air pollution that's literally off the charts. The air has been classified as hazardous to human health for a fifth consecutive day, at its worst hitting pollution levels 25x that considered safe in the U.S.
Yale scientists have found a way to observe quantum information while preserving its integrity, an achievement that offers researchers greater control in the volatile realm of quantum mechanics and greatly improves the prospects of quantum computing. Australia experienced a wave of migration from India about 4,000 years ago, a genetic study suggests.